It's been over a hundred years since Principal Victory Piggot terrified his last student, but now he's back. Sort of. 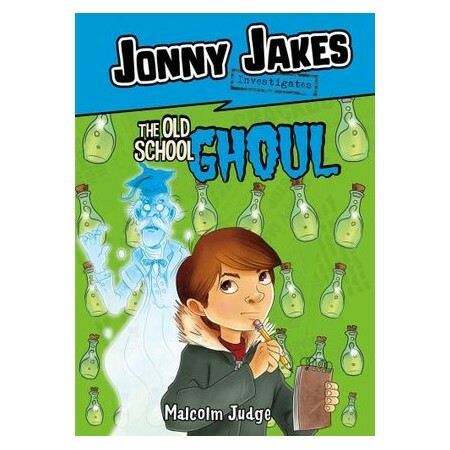 It's up to Jonny to investigate, before Piggot unleashes unspeakable horrors on the school (including extra phys ed). Malcolm Judge lives in a large Cumbrian village with his wife and three sons. When he's not teaching drama, he enjoys cycling and refereeing at the local rugby club. Besides writing, he still likes the idea of becoming an international film star when he grows up. Alan Brown, is a freelance illustrator who has created artwork for Disney, Warner Bros. and the BBC, while continuing to provide illustrations for children's books and comics. Alan has worked mainly on children's books for kids who find it hard to engage and be enthusiastic about reading. These clients include Harper Collins, Capstone, Ransom, Franklin Watts and Ben 10 Omniverse.